If you have a cat or dog you will know that they can be a bit of a live wire. This fun Kate Mawdsley design certainly displays that. 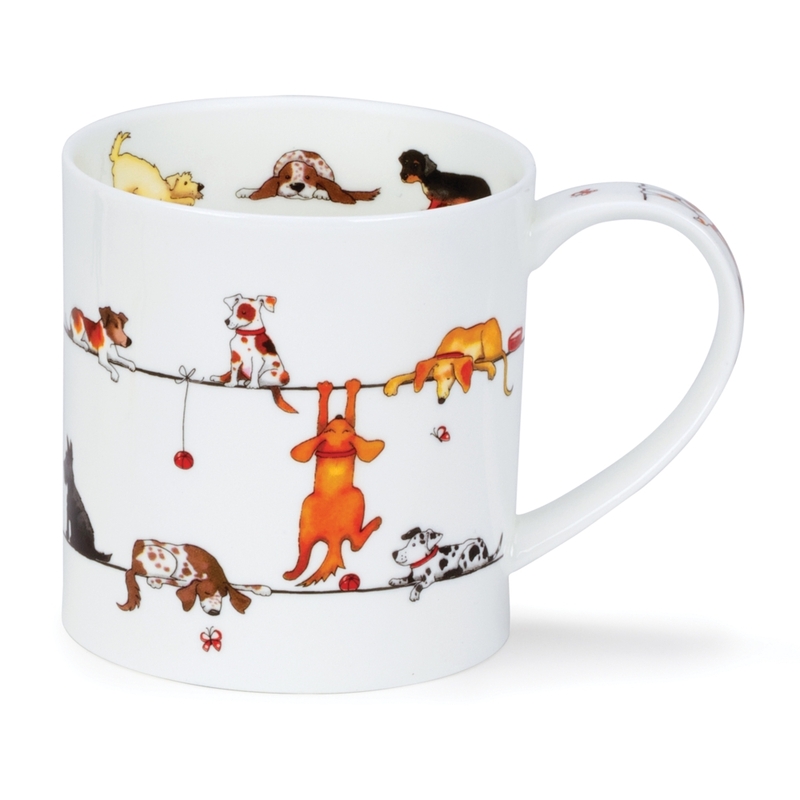 Chasing their tails and catching balls, dogs play their part on this live wires design.